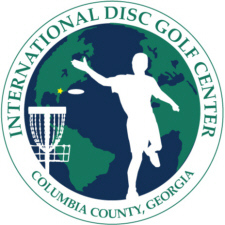 The PDGA International Disc Golf Center located at Wildwood Park in Appling, GA is the mecca for the sport of disc golf and a must see for every disc golf enthusiast. It features a modern clubhouse with 2,700 sq. ft. of amenities and attractions that will make your visit a unique experience. With a state of the art training center, practice putting greens and three demanding championship caliber courses, the International Disc Golf Center will challenge and improve every aspect of your game. The clubhouse is home to the Ed Headrick Memorial Museum, which showcases many historical items from the early days of the sport including the first proto-type polehole and flying discs from the Frisbie pie pan, to the Frisbee®, to today's modern high tech golf discs. The IDGC also features the Disc Golf Hall of Fame, a tribute to the individual legends of the sport's past and present. A full-service pro shop and helpful staff will offer you everything you need to play disc golf. Between rounds, grab a snack and relax at the Roddick Tournament Pavilion, or rest in the climate controlled clubhouse while enjoying a video from the extensive PDGA media archives. The PDGA, in cooperation with The Disc Golf Foundation, has established an Endowment Fund, to which tax deductible contributions can be made, that will pay for improvements and provide for ongoing maintenance and upkeep of the IDGC. Contributions to the fund may be made directly by or in memory or in honor of an individual, a family, or an organization. This could be the perfect way for you or your club to remember someone who made a difference to the disc golf community. Recognition will be given to donors, by way of a commemorative item and by mention of the contribution at the IDGC headquarters. Gifts of any amount are welcome. As various milestones are met, project components will be undertaken. Contributions in kind will be accepted at the discretion of the IDGC Committee. To make a contribution please download the International Disc Golf Center Endowment Fund Sponsorship Form. Parties interested in making in-kind contributions of equipment, materials, and other project resources, should contact Joe Chargualaf, IDGC Committee Chair. This is your opportunity to be a part of disc golf history and to help develop a facility of which we will all be proud!